The John Greenwood Shipman Centre offers short break care for disabled children and young people. A consultation on the future of short-break disability services in Northamptonshire will open this week. 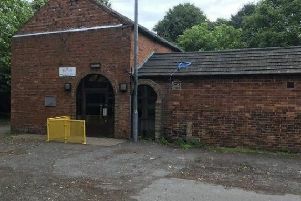 The county council is calling for users to share their views on how to run Northamptonshire's three away-from-home disabled care centres, including the John Greenwood Shipman Centre in Thorplands. The service offers short-term stays for disabled children and young people to give parents a break from care. Former MP For Northampton North Sally Keeble fears the consultation will come ahead of plans to close or cut funds from the service following a county council announcement to find £9.6million in savings announced last week. But the council insists there are "absolutely no plans" to close the John Greenwood Shipman Centre or any like it. Sally Keeble said: "Something is afoot. The county council and its partners need to come forward now and say what the proposals are and consult people fully. "The consequences of the Tory council's cuts is that the services for children and young people with disabilities are under threat." The consultation can be found on the Northamptonshire County Council website here when it opens later this week.